No, not an ogre garage band. Og is the northeastern potion of the Land of Nod, where the fake vikings and such live. The Trollheims are a range of mountains, just south of the larger White Mountains, that divide Og from the Motherlands. 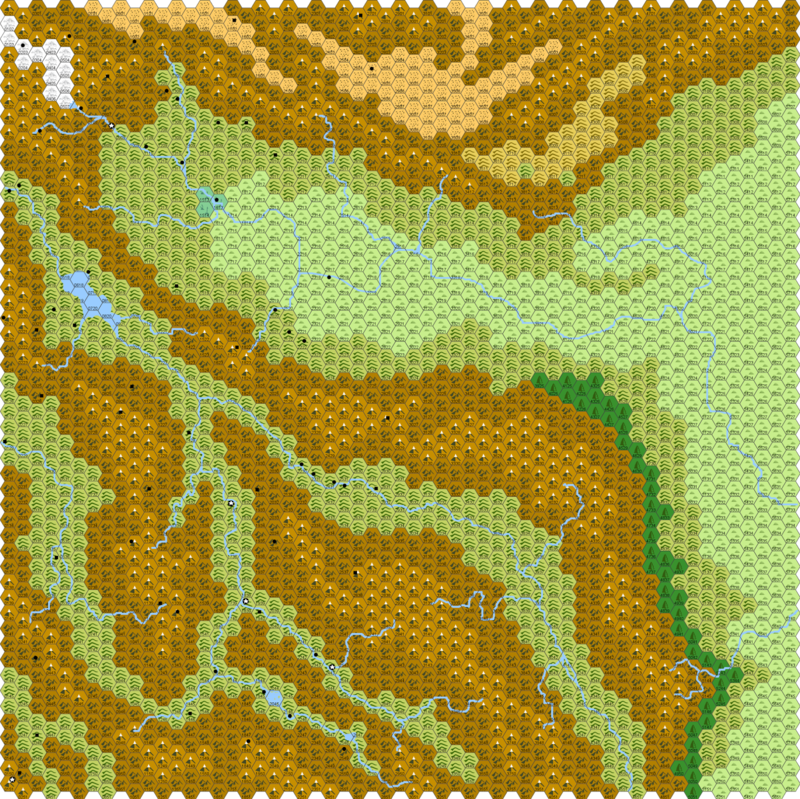 I’m in the middle of writing a hex crawl set in a small corner of Og which includes the northern chunk of the Trollheims and a sliver of the Golden Steppe. This particular portion contains the city-state of Azsor, where King Mogg rules. The first campaign I ran in Nod was set in and around Og, stretching from the far eastern city-state of Azdak (where a mysterious murder was committed), and covering the halfling land of Yore (where a town was burned down), Azsor (where a human ranger raised by dwarves Frank and Estelle joined the party), the White Mountains (where a cloud giant was assaulted and insulted), Isithul (where something happened that I don’t entirely remember) and back to Azdak, where the murder was solved through no work of the party (don’t run murder mystery campaigns with people who don’t care about murder mysteries) and the next campaign was set up for Mu-Pan. Anyhow – here’s some setting information I’ve written for Og, with more to come! The northern lands of Thule are also known as Og, after the great river which drains them into the sea. The Og looms large in the lives of the people, and most treat it as a god. South of the river is the Golden Steppe. 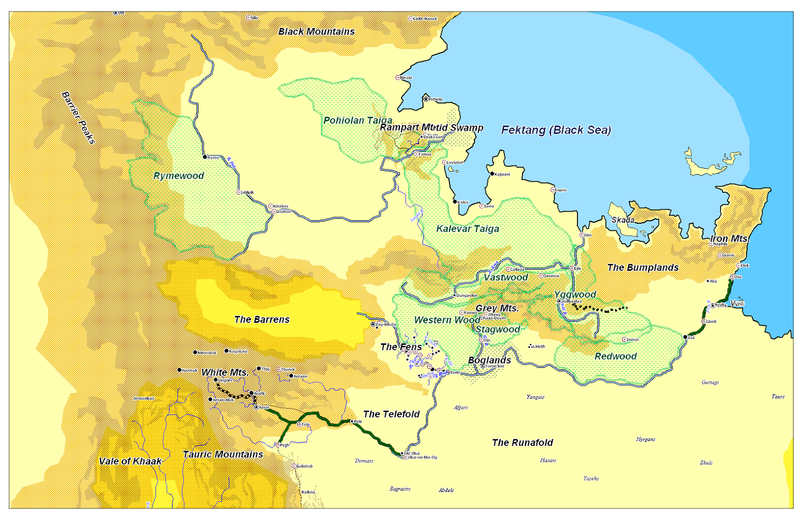 North of the river are forests, marshes and chill grasslands. The lands are ringed by mountains. The Trollheims and White Moun-tains border it on the west, and the shadowy, ill-famed Black Mountains on the north. Within those mountains, forests and marshes live humans, dwarves, elves, halflings and humanoids. This hex crawl only covers the extreme southwest corner of Thule, which include the northern portion of the Trollheim Mountains and the extreme western fringe of the Golden Steppe. Within these confines is the great city of Azsor, a city-state of humans and dwarves ruled by the legendary King Mogg. In days best left forgotten, much of Og was covered by a great sheet of ice that spread from the Sea of Stars to what is now the country of Mab. At the edge of the ice sheet, a simple human people scraped out a stone-age existence. The land was rough and wild. Nod was much drier then, and the great desert of the south all but en-compassed what is now steppe-land. The greatest re-source of Og was its herds of mammoth. As that age of ice passed, a shallow sea was formed, attracting strange denizens of the deep to build cities be-neath the waves. 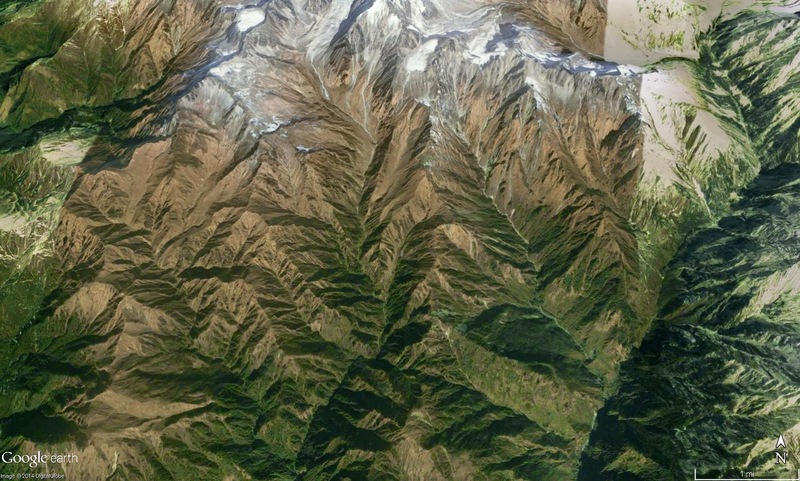 Great forests sprang up in the wake of the retreating glaciers. The trees grew unnaturally tall, attracting the attention of the ancient elves. At this point in time the elves already ruled the human civilizations of the Motherlands. They now resolved to settle the great forests of Og. All that stood in their way was the shallow sea and its inhabitants. These creatures were older than the elves, but technologically backwards. The elves were at the height of their powers and arrogance, and a cabal of elven wizards decided the easiest way to eliminate the fish folk was to drain their shallow sea. Through unknown means (well, I know them … if you read the hex crawl, you might discover the secret as well), they accomplished this task, leaving in the sea’s place a great river that flowed from the White Mountains to the Sea of Stars. The elves and their human subjects now surged into Og. They besieged the citadels of the firbolg giants and drove them into hiding. The goblin folk were driven into the mountains, and the primitive humans they found were enslaved and carried away. These slaves toiled endlessly on the elven walls and towers of their now mythic city of Isithul. Isithul’s location is now a mystery. Its walls were built of green stone, it is said, and within its halls walked the greatest wizards the elves ever produced. They had come for a grand project – a way to travel between worlds. When the grand project was finally completed, it rivaled the ancient Crown Stone in power and achievement. Although it appeared as nothing more than a giant vessel covered in beaten gold, at its heart lie an engine powered by mysterious crystals that could bend space and time. It was the height of elven achievement, but it displeased the Kabir, the ancient gods of the elves. Asur, chief amongst the gods, instructed Nudd to destroy this vessel before it could do any harm. Although his quest was long, and fraught with peril, Nudd eventually succeeded in destroying the elven starship, scattering its mysterious crystal shards in the process. When the Great Rebellion of Dwarves and Men occurred, and the Crown Stone was destroyed, the great network of standing stones went with it and the elves lost their ability to maintain the magical civilization they had created. The ethereal winds swept over the landscape, spawning monstrous beasts and aberrations and destroying the elven aristocracy’s monopoly on power. Some five hundred years ago, humans led by a spellcaster called Louhi battered down the gates of Isithul and formally ended the reign of the elves in Og. Four hundred years ago, the red-skinned Qum’al of the steppe sacked the encampment of Ulu-Than, Imperator of Harady. Drunk on plunder, they then turned their attentions to the verdant lands to the north of the River Og. In short order they conquered the small stone forts of the Isithul (the name now given to the people of Louhi). The Isithul were soon overrun from the White Mountains to the Sea of Stars. By three hundred years ago, the Qum’al had established hill forts from Azsor to Luhan, and cause-way villages on the lakes of Mab. Only in the Valley of Yore did they meet strong resistance from the better organized and more technologically advanced Feafolc (halflings). Yore would be sorely pressed in those days, but it never fell. Throughout the lands of the Qum’al, every hill fort be-came a tribal state, and raids and war were common. The clan elder system of the steppe Qum’al was gradually re-placed by the strong leadership of war chiefs. Gradually, the greatest of these war chieftains carved kingdoms out of this chaos. Such ancient Qum’al kingdoms as Luhan, Mab, Irith, Zhuul, and Krakon were forged, only to fall and then rise again as life degenerated into a circle of blood feuds and ill-conceived wars of conquest. Two hundred years ago, seafaring invaders from Yama hit the Amber Coast of modern Luhan. The Nakdani, fleeing their sinking homeland, drove their war galleys to Luhan and began colonizing. The petty Qum’al kingdoms united in a war against the invaders, led by the mighty lords of Azdak, the Luors. The war raged intermittently for 100 years before ending in a draw, the invaders holding the coast, the Qum’al the hinterlands. Nakdani kingdoms such as Ozid, Morr, Ellik, Vac, and Gyora were founded. By one hundred years ago, through marriage and trade, the great kingdom of Luhan was formed under a high king, the self-same lords of Azdak. The Qum’al and Nakdani had become one folk, now called the Luhano. High king after high king undertook great public works, such as repairing the ancient trade roads of the elves. Wooden forts were constructed to keep the rampaging Vadda under control, mines were established in the hills and mountains, and an iron industry was firmly established. When a high king fell out of favor, the magnates of Luhan would withdraw their support and challengers would march with their supporters to the gates of Azdak. The fields to the north of Azdak drank much blood over the centuries, as royal dynasties rose and fell. To the west, the country of Mab led a quiet, contemplative existence. The people lived in small lake settlements. Peace was made with the elves, though contact between them and humanity remained quite rare. Fortunately, there was enough contact to produce the present White Queen of Mab. She, like her fathers and mothers before her, is a sorceress of great power. In the foothills of the White Mountains, life remained simple and unorganized until the war chieftain Mogg forged an alliance with a dwarf lord and founded the Golden City of Azsor about 50 years ago. 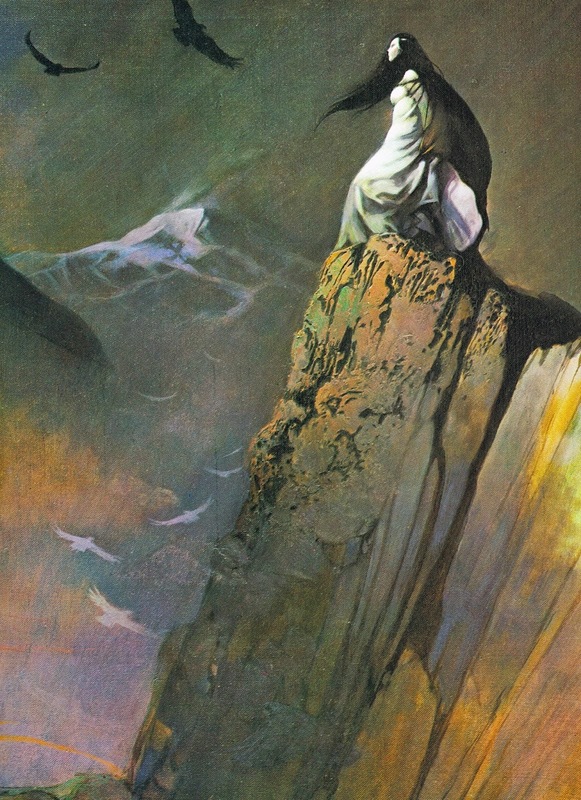 The present day finds Azsor’s king merry, Azdak’s asleep on his throne, the Isithul dreaming of a new golden age, and the White Queen alone in her tower, reading the stars and beginning to fret over things yet to come. I’m about 90% finished writing the Ulflandia hex crawl, which means I’m pretty much on schedule to get the next issue of NOD out this month. I should get Bloody Basic – Sinew & Steel Edition out as well, and maybe Bloody Basic – Weird Fantasy Edition (depending on how much reading I get done between now and the end of the month). Once those are put to bed, I turn my near-sighted eyes to Grit & Vigor, which I would like to publish before the end of summer. That being said, I thought I’d post a few Ulflandia entries today to give people a taste of it. Enjoy! Over the weekend, I got the Bloody Basic – Mother Goose Edition PDF up for sale, and just a moment ago I got the Bloody Basic – Contemporary Edition soft cover up for sale. So, if you like the various flavors of Bloody Basic, today is a fine day to be alive. The link to my Lulu shop to the right will take you there. I’ve been working away at the next hex crawl for NOD, which is located just south of the Klarkash Mountains and is dominated by the island of Ulflandia, ruled by Queen Gloriana and inspired by the folklore and fantasy of England, Wales, Scotland, Ireland, et. al. Below, you will find the introduction. I’m still playing around with things, mostly cosmetic, so it might be changed here and there before it is published. Enjoy! Ulflandia, which is sometimes called Brigantia, is a large island located off the coast of the Klarkash Mountains, effectively dividing the Tepid Sea from Mother Ocean. The island was a fey stronghold in ancient times, but a series of invasions changed it into an ostensibly human kingdom. In the days of Nomo’s glory, it defied that empire for decades before finally becoming an independent, though tributary kingdom. The island is now dominated by Queen Gloriana from the city of Tremayne, the largest settlement on the island. 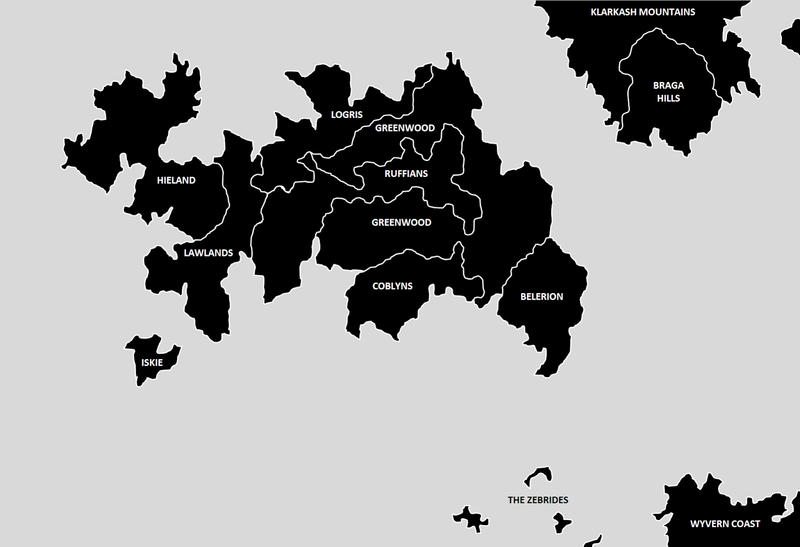 The island can be divided into numerous sub-regions. The woodlands in the eastern portion of the island are called The Greenwood. The grasslands in the north are called Plains of Logris, while the hills that run down the center of eastern Ulflandia are called the Ruffians. The hilly peninsula in the southeast is called Belerion, the peaks in the south are the Coblyns. The western portion is taken up by the hilly Lawlands and the mountainous Hielands. Between Ulflandia and the Klarkash Peninsula lies the Black Strait. The Klarkash Mountains have been covered in NOD 25, but the hilly portion on the southern peninsula is known as the Braga Hills. 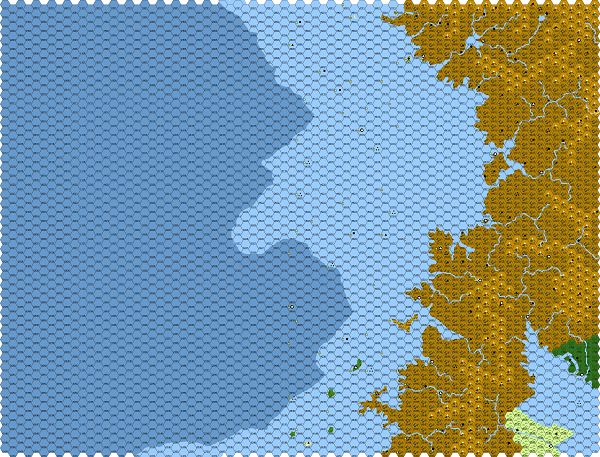 The southeastern portion of the map contains a portion of the Wyvern Hills (see NOD 1) and an island chain known as the Zebrides. In elder days, Ulflandia was home to the giants and fey, who battled and intermarried and generally had a wonderful time, separate from interlopers from outside. Humanoid tribes of gnomes, kobolds and goblins filled things out. When Partholon sallied forth from Hybresail to leave the decadent wizards behind, a portion of his fleet was diverted. While Partholon landed further north, and came to dominate the human tribes of the area and found Nomo, the other grey elves landed on the isle of Iskey. Under the command of the warlord Nemed, the grey elves fought the native giants and carved out a small kingdom for themselves which they called Tyrnog. 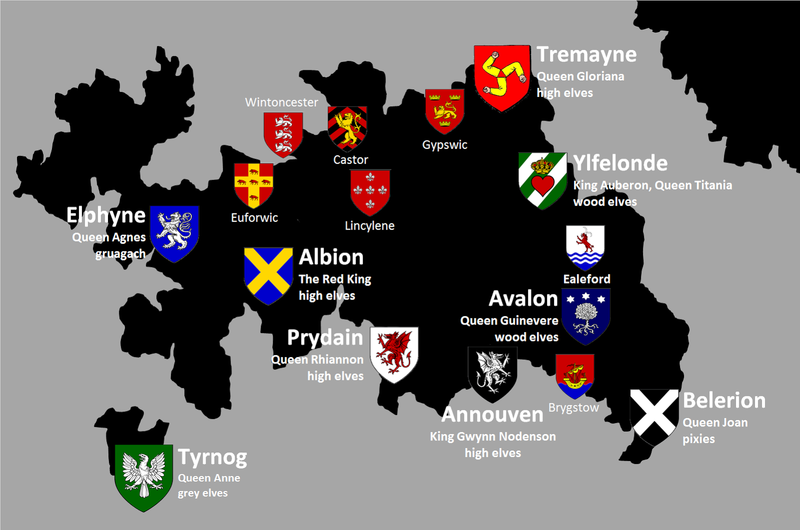 The elves of Tyrnog soon colonized the southern reaches of Ulflandia, founding the kingdoms of Elphyne, Albion, Annouven, Prydain, Belerion, Avalon and Ylfelond. Over time, the elven population of Ulflandia changed. The elves of Tyrnog, called the Aysheeth, were still of the grey variety. The elves of the western lands of Elphyne became the Gruagach (wild elves). The elves of the mountainous Lawlands and Coblyn were known as the Gwyllion (high elves). The elves of the Greenwood were known as the Elvene (wood elves). In the meantime, the northern portions of the island were begin settled by the orcs and hobgoblins of the Klarkash Mountains, and the wild humans of the Braga Hills. These peoples came collectively to be called the Sassenach by the elves, though later that term only applied to the humans of the Plains of Logris. In time, the Empire of Nomo came calling. In a series of invasions the Nomoi, under the command of Brutus, colonized the north and began grinding down the old elven kingdoms. They made the fortified colony of Tremayne (Trēsmanus) their capital, and soon conquered the Plains of Logris and then the eastern portions of the Greenwood. The kingdoms of Ylfelond and Avalon were made tributaries of Tremayne, while the other kingdoms of the island proper barely maintained their independence through arranged marriages, bribes and costly wars. The old elven kingdoms gradually faded in importance, devolving into giant citadels hidden by powerful illusions and smaller hill forts that surrounded the old citadels. The men and half-elves of Nomo made forays against the ancient giant chiefs and the goblin tribes of the Ruffian Mountains as well. 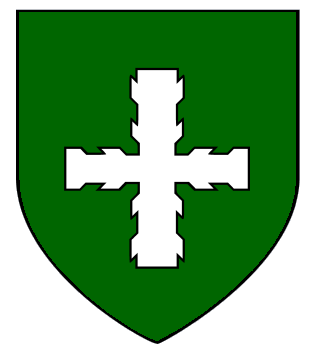 Under the command of Aurelios Ambrosios his younger brother Uther Pendragon, the sage wizard and demigod Merlinus, and their collected knights, squires and men-at-arms, the kingdom of Tremayne rose to the heights of its power, only to be disrupted in time by royal struggles and minor civil wars. Modern Tremayne is ruled by Queen Gloriana, who continues the struggle of the heirs of Nomo to bring the entire island under her control. ELVES: Elves are the aristocracy of the ancient fey tribes of Ulflandia. They serve as rulers, warriors and hunters. Under the elves are the working fairies, including such creatures as the brownies (household servants), knockers (miners and armorers), fenodyree (heavy labor), habbitrot (spinners of cloth), kilmoulis (millers of grain) and leprechauns (cobblers and other skilled trades). In some cases, these creatures are more powerful than their rulers, but the fey cleave to their traditions, which place the elves at the top of the pyramid. AYSHEETH (GREY ELVES): The tall, beauteous elves of Iskey are called the Aysheeth. They descend from the original elven colonists of Ulflandia, who came from the West to escape the wars of the wizards and build kingdoms of their own. Among the Aysheeth, the nobles wear chainmail under brilliantly colored tabards and capes. They carry round shields and arm themselves with lances and longswords. In their retinues are the galloglass and kerns. 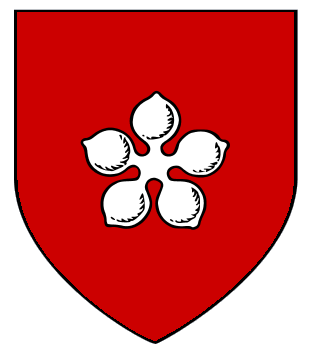 The “common” Aysheeth, or kerns, wear lighter armor and carry spears, bows, axes and greatswords. Noble grey elves fight in chariots or on horseback, while the kerns may fight on foot or as light horsemen. ELVENE (WOOD ELVES): The Elvene are the wood elves of the Greenwood, living in roving bands who hunt and patrol their lands and answer the call of their rulers when it is time to fight. They dress in scarlet and green, and are merrier than the more guarded and elegant grey elves. Elvene armies are composed of longbowmen and light infantry. Both wear light armor, with chainmail shirts about the heaviest armor among them. They wield longbows, short swords, hand axes and sometimes spears. Cavalry is rare among the elves of the Greenwood, for they often fight in thick woodlands. GRUAGACH (WOOD ELVES): The Gruagach live in the wildest parts of Ulflandia. They cultivate a wild appearance, growing their hair long and keeping it tangled or spiking it, and painting their faces and bodies with blue dyes. They wear woolen tunics in dazzling plaids and checks. Wild elf warriors are light skirmishers, for the most part. They wear light armor and wield longswords, greatswords, battleaxes, spears and shortbows. Some fight from chariots, while others are mounted on light horses or, in rare occasions, Irish elk. GWYLLION (HIGH ELVES): The high elves of the mountains are more akin to the grey elves than their wild cousins of the wilderness and woodlands. They are honorable warriors, and more organized than their kin. High elf warriors put light and heavy infantry and cavalry into the field, as well as their famous longbowmen. SASSENACH (HUMANS, HALF-ELVES, HIGH ELVES): The Sassenachs are the descendants of the invaders from Nomo. They include humans (the most numerous of the invaders), half-elves (who are most often to be found in administrative and mercantile roles), and elves (the ruling class). The Sassenachs organize themselves along feudal lines, and hold chivalry in high esteem (at least in theory, though not often in practice). Sassenach armies are composed of light and heavy infantry and cavalry, crossbowmen, and foreign mercenaries drawn from the other peoples of Ulflandia and from beyond. The Ulflandians worship the divine pantheon of the Motherlands under different names. The Ulflandians have some unique deities as well, including Sirone, the goddess of healing, Epona, the horse goddess, Canta, the god of medicine and physicians, Puck, the trickster god, and Merlinus, the god of magic. BLACK FRIARSThe black friars are dedicated to the atmospheric deities. A scholarly order, they study the stars and atmospheric conditions. The black friars tend towards Lawful behavior, and tend to be loyal to the Queen (though not always her Church), the Starry Order of blue magicians and the two orders of knighthood. The black friars are primarily dedicated to Dagda, Arianthod, Bel, Nodens and Taranis. The grey friars are druids dedicated to the chthonic deities of earth and the underworld. Like the white friars, they tend toward true neutrality, seeing themselves as guides to the afterworld, and thus above human affairs. They are often to be found in opposition to the necromancers of the Cunning Order of red magicians (see below). The grey friars are primarily dedicated to Dispater, Govannon, Morgan le Fey and Sucellos. The white friars are druids dedicated to deities of flora and fauna. They are a neutral order, and consider themselves emissaries of the nature gods to humans, and thus are above other human institutions, including the Queen and her government. They do not often press this claim, as diplomacy is less costly than fighting an angry queen and her armies. White minsters (monasteries) are known for their gardens and the numerous sentient animals to be found around them. The white friars are primarily dedicated to Cernunnos, Epona, Flidas, Matrona, Puck, and John Barleycorn. The Queen’s Church handles most of the day-to-day religious chores of the kingdom. Gloriana is the head of the church (hence the name) and has its unswerving loyalty. Sages and adepts make up most of the priesthood, which is divided into Vicarages and Bishoprics, with the immediate superior of the church being the Archbishop of Cantiacorum. The Queen’s Church honors all of the deities mentioned above, as well as Brigantia (the patron deity of Ulflandia), Camulus, Merlinus, Percival, Saint Angus, Saint Canta, Saint Dylan, Saint Ecna, Saint Elen and Saint Ogma. Also known as the Knights of the Cauldron, the Questing Knights, and the Knights of Percival, they are an order dedicated to recovering the Cauldron of Dozen-King for their queen, Gloriana. The order is composed of warriors and clerics, all Lawful (Good) in alignment. While the brothers wear their own livery, they sew a badge in the shape of a red heart over their own hearts. Once each year, at the end of campaign season, they gather at their chapter house in Camulodunon to report on their progress and adventures over the previous year, and they are permitted an audience with their queen, who travels to the city from Tremayne for that purpose. The quest of the knights is supported by the Black Friars, the Queen’s Church and the Blue Magicians. The white and grey friars oppose it, though the white friars neither publicly nor actively, and the yellow and red magicians care little for the quest. 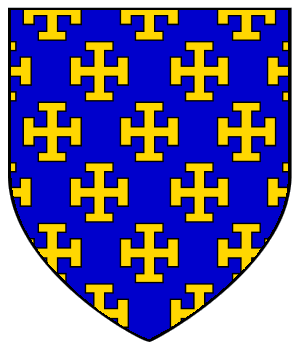 The arms of the order are a field azure numerous crosses or. This livery is worn by the members at their convocations, and is worn by their retainers when on official duty. 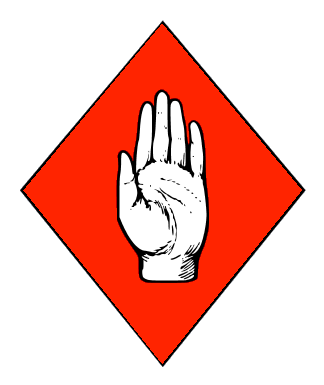 The Order of the Red Crosse is dedicated to the veneration of St. George, the local name for Mithras. The knights are loyal to their god first and to the Queen second. They have numerous fortifications throughout the country, and their main chapter house in Tremayne. 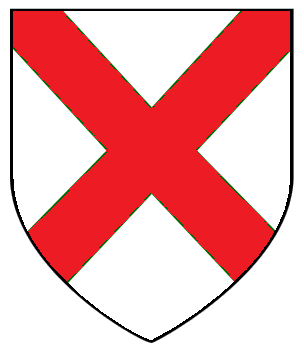 The knights are commanded by a Knight Commander, and all of the knights wear white emblazoned with a saltire gules while serving the order. Most of the knights are Lawful (Good) clerics and paladins, though the ranks of their warbands are filled out with lay brothers (i.e. fighters). The members of the Royal Society are more commonly referred to as yellow magicians. Their ranks are primarily filled by sages, alchemists, magic-users (especially transmuters) and scientists. In public, the philosophers wear robes of yellow. It is headquartered in Tremayne at Mumpsimus College. The society is led by a president, elected by the members for a life term, or until recalled by the membership. The society is known for its wealth and influence with the Queen, and is regarded with jealousy by the other magical orders and the merchants of Ulflandia. 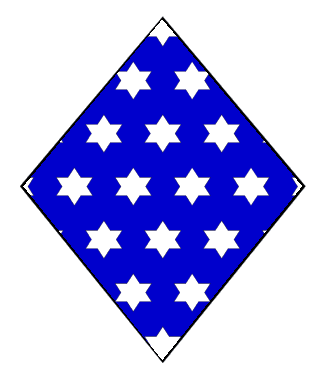 Colloquially known as the blue magicians or even blue friars, the Starry Order is composed of Lawful (Good) magic-users, sorcerers and warlocks. 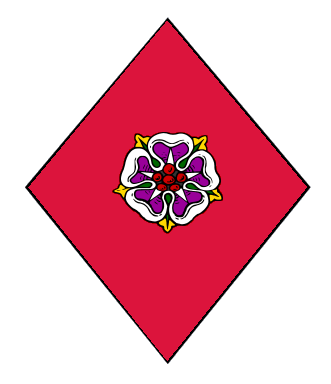 It is closely allied with both the Knights of the Red Crosse and the Questing Knights, and with the Black Friars. 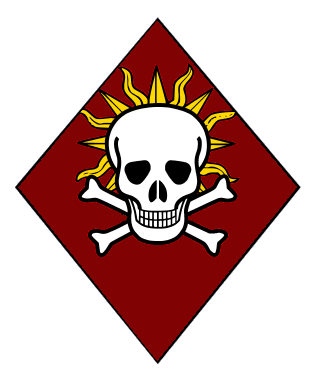 The order is chartered by Gloriana, and has its headquarters in Cantiacorum, a seaport located south of Tremayne. Members are known for their blue robes and their white headbands. The red magicians are a very loose fellowship of magic-users, sorcerers and warlocks, unofficially divided into four colleges – The Conjurers (who wear burgundy robes and golden bells), The Evokers (who wear crimson robes and rose badges), The Illusionists (who wear scarlet robes) and the Necromancers (who wear maroon robes and skullcaps). The society is technically a secret society, with secret passwords and hand signals to allow members to communicate with one another. In reality, the existence of the order is fairly well known, and though the exact location of their lodges is unknown, most people know whether or not there is a lodge in their settlement. Hey folks – the art is ordered, the supplemental articles are being written (very excited about the pen & paper football game – I’ve run 31 seasons so far), and I think I’m on track for a February release. Hopefully, I’ll get another Bloody Basic released as well – I think the Fairy Tale edition. We’ll see on that one. In the meantime, a few more locales from the Klarkash Mountains. Part of the fun in this hex crawl is that it takes place above and below ground. Underground encounters are put in a box, while the surface encounters are not. The first bit is an excerpt about movement through the mountains. A subterranean exit must be discovered by searching (treat as searching the hex for a secret door, with one check per day). If the hex contains a subterranean encounter, the exit will always involve dealing with this encounter. A key tunnel in this hex is being held up almost entirely by a stout iron golem. The iron golem is blocking the tunnel. If it moves (which it will if attacked) the tunnel collapses after 1d6 minutes. A total of 1d10x200 feet of the tunnel will collapse when the iron golem moves. The remnants of a deep staircase can be found in this hex. After descending about 300 feet, one begins to detect warmth and sulfuric fumes. The stairs keep on descending until the reach the center of Nod, wherein Hell is located. 1d20 fire lizards are crawling over and through a series of basalt tunnels. The tunnels are hot to the touch, and the air is excessively dry and acrid. Crystal growths explode from the sides, ceiling and floors of the tunnels at random (1 in 6 chance per round, 1 in 6 chance of a growth hitting an adventurer for 1d6 points of normal damage + 1d6 points of fire damage, Reflex save to halve damage). The crystal growths glow a deep orange, and they are lousy with the raw energy of fire magic. A person holding a piece of this crystal can double the effects of the next three fire spells he or she casts. The mountains here are composed of green stone, slightly glossy, with valleys filled with purple grasses and large mud flats fed by scalding mud geysers. The land is lovely and dangerous, and home to a large village of fierce yeomen clustered around the green tower of Katya the Magnificent, a magician who specializes in teleportation and other modes of magical transportation. Her tower is a sort of beacon on both the Astral and Ethereal Planes, and serves as an anchorage for the weird vessels that ply those dimensions, depositing interesting visitors and their strange cargoes in the little town. The townspeople do some farming and herding, but most are engaged in the tourist and mercantile trades. The town has three grand inns and several taverns. The green tower is about 300 feet tall, and composed of the same stone that dominates the landscape, with floral carvings around the windows and doors. The interior is crowded with visitors, servants and guards. The servants are swathed in layers of white silks, which hides the fact that they are animated skeletons. The guards are living iron statues made to look like gothic knights. Katya’s personal guard is composed of the succubus Hamzhara, bound to her service by Katya’s possession of her true name, and her three alu-demon daughters, Lividia, Xaspera, Inflamidine. Katya permits them some demonic fun to keep them docile, but otherwise keeps them on a short leash. The ghost of Merwin Peters, former trader, sits on a stump in this hex on moonless nights. The ghost is headless, and does little more than point to the west, perhaps indicating where his head has been carried away. The ghost has a set of keys on a chain around his neck – perhaps they would open a treasure chest if the ghost could tell adventurers where to look. A few more locales. I’m commissioning art today, so I think I’m on schedule to get NOD 25 out at the end of this month. In the elder days, the giants constructed a vast dungeon beneath the mountains here to hide the hammer first used to construct the lightning bolts hurled by Jove. The hammer broke, but it contains massive residual energies useful for forging lesser magic items. The dungeon is guarded by all manner of giant creatures (all large or huge), and it is sized accordingly. The halls are patrolled by ten purple worms with amethyst faces embedded in their heads. The faces can communicate with one another and control the monsters, making them all the more dangerous to intruders. Nimbus is a great mountain fastness, a concentric castle of light grey marble painted white, with five towers and a central keep flying the green banner of the Countess D’Aurzi, a pleasingly plump woman with perhaps the shrewdest mind in Umbriago, and an iron stomach that allows her to drink ogres under the table. She is attended by three consorts, her chosen knights Melus, Urgis, and Amarionnus (her favorite, but the stupidest and thus not worthy of ruling by her side). Surrounding the castle there is a village of tall, narrow houses composed of grey brick with red doors. Brass nails are pounded into the doors for good luck, and hung with strings of beads. The houses are set on gravel streets radiating out from the castle and separated by triangular pastures on which the city’s fine cattle are grazed. Wooden posts, strangely carved in demonic shapes, look over the cattle. The people fear these totems, which preceded the founding of the city, and never look directly at them without spitting on the ground and tossing a copper coin. The people walk to their fields, which are watered by underground springs and frequent rains. The city boasts a few artisans and merchants, a mercenary company that is always hiring for the summer campaign season in the north, and a shrine to Eurynome, the titaness of pastures and the matron goddess of the city-state. Three female druids oversee the shrine and tend to the spiritual needs of the people. The trio always includes a crone, a matron and a maiden. The crone tends to the countess and the city government with her wise council, the matron to the needs of the common people, and the maiden to the needs of the herds and fields. Besides the city’s cattle, there is also timber in the mountains, fertile fields in the surrounding valleys (each protected by a fortified tower keep controlled by one of the county’s knights and topped with a beacon fire to alert the city to danger) and fur-trapping. The fur trade is where the real money is, with traders leading caravans down to the sea in  once per month to trade with merchant galleys from other city-states. In all, the city-state of Nimbus boasts a population of 600, and the domain around it 5,400 people in four manors, three of them controlled by the aforementioned knights. The fourth is overseen by a huntsman in the employ of the three druids of Eurynome. 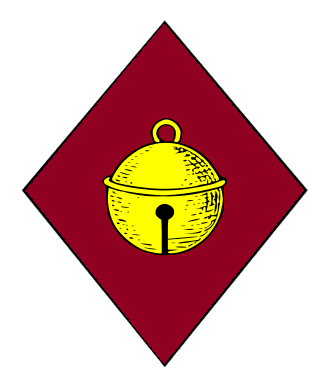 The city watch consists of six men-at-arms, and the county’s army consists of about 40 men-at-arms, 30 armed with Lucerne hammers and short swords, the others with longbows. Kessel is the hard-drinking, hard-working red city of the deep mountains. Long isolated from the rest of Umbriago, the strain of orc blood runs deeper here than elsewhere, and the peoples are only barely governable by Duchess Maladi. The people of Kessel are miners and quarrymen (basalt, olivine and peridots), farmers and herdsmen (mountain wheat, stunted pears, cattle), some lumberjacks in the mountains, fisherwomen in the rivers, and a small band of artisans, especially gemners and smiths. The bourgeois of the town dress in rough finery, the men in arming coats, the women in virago sleeves. The commoners dress in tunics and stockings. 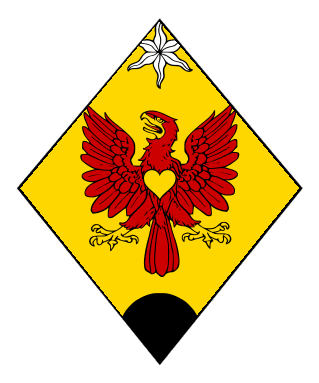 The city-state has 400 citizens, the hinterlands 3,600 peasants on four manors, two of them baronial (Baroness Lemba and Baron Morix, siblings with a deep, abiding rivalry that borders on hatred) and one dedicated to the Poor Brothers of Pluto’s Trident, Pluto being a patron of miners, and the patron deity of Kessel. Duchess Maladi is casually cruel and bombastic, and feared by her people. She has high cheek bones, ruddy skin, and deep eyes of black flecked with gold. Maladi is always well dressed, with leather corset and full skirt and sleeves of crushed damask silk. She carries a silver horseman’s mace as a symbol of office (the face stained with blood, as she uses it to personally execute traitors) and a brace of daggers hidden on her person. Half-orcs and orcs would call her handsome. The buildings of Kessel are made of red brick with slate roofs. The walls are made of basalt. The city is situated at the end of a broad, long valley, backing up to a dormant volcano. It is also protected by the two rushing rivers. Each river is spanned by a bridge with fortified gatehouses controlling access to the valley and, thus, the city and its fields. An army of 30 men-at-arms (pikemen and crossbowmen on mountain ponies) can be raised to supplement the four permanent guardsmen who man the gatehouses on the bridges. A monastery is perched on the seashore here, an imposing, windowless structure of basalt blocks, an unsightly pile indeed. The building is home to the Brotherhood of the Evil Eye, a band of goblinoid monks dedicated to Azathoth, the Lord of Entropy and Chaos. They are brutal in their discipline, and many who join the monastery do not make it out alive. Those who survive become a potent force for chaos. The leader of the monastery is a smallish goblin called Zozzo, his lieutenants being Zum and Karx. Under them are 17 first level monks. All of the brothers cover their entire bodies with tattoos or brands of eyes. In addition, they carry silver flutes in honor of their chaotic god. The next hex crawl for NOD is set in the Klarkash Mountains, which divide the Venatia hex crawl from the lands of Nomo, Guelph and Irem (which probably doesn’t mean much, so lets say the part of the world inspired by Greece, Rome and the Fertile Crescent). What follows are some excerpts of the hex crawl – enjoy! Ghae is a fading city-state of deep sea locathah. The city has the pattern of a starfish, with great towers at its six points and hundreds of domes holding homes, palaces, temples, armories, workshops and the like. The city was once home to over 15,000 locathah, but only 12,500 remain, as the mithral mines they once worked have been depleted. The deep locathah resemble anglerfish, and though they are fearsome to look upon, they are not evil. The city’s autocrat, Phlaq, wears phosphorescent shell armor as a sign of his authority. He carries a mithral scepter that looks like it was made by surface elves, and it was – it was lost at some point by Vinrix, the missing Emperor of Nomo. The army of Ghae is 1,000 strong. The locathah wear no armor. They carry spears and often ride mechanical dunkleosteus, powered by vril. These armored mounts are slowly dying, so they are now rarely used. The soldiers are poorly paid and only barely loyal. They have turned to banditry to supplement their incomes, driving some merchants away to the west, where they hope to find welcome in other deep sea cities. A sea titan by the name of Glaudia is drowsing in the sun here, floating on his back in the sea, which remains placid around her. Three giant leeches have attached themselves to her and are supping on his ichor. The titan isn’t particularly bothered by this, but awakening her will throw her into a rage. High in the mountains here there is a cave shrouded in magical darkness. Beyond the entrance, light works, and reveals a staircase stained with blood. The staircase leads down to a great cavern in which there is a bell composed of lead and engraved with images of fallen angels holding burning torches. When struck, the bell sends out blacklight (per the spell) in a 100-ft radius, strikes all within 60 feet with black lightning (also per the spell) and summons forth all monsters within 10 hexes to war in the name of unholy Chaos. The walls of the river canyon here are studded with twelve spheres of force. Each one contains a rabid zombie, scratching at the sphere and trying to attack anything that comes within sight. Around their necks are long iron chains from which are suspended large iron keys. In the middle of the river, near the spheres, there is a small promontory that bears a great, iron door. The door is two feet thick and cannot be opened, for it is really a sort of elevator platform that lowers into the promontory when activated. The door/platform has twelve keyholes … so you can see where this is going. If the spheres of force are deactivated, the zombies are released. When the zombies are released, they grow to giant size (the iron chains now fit their necks more snuggly) and attack. GIANT ZOMBIE, Huge Undead: HD 8; AC 11; ATK 1 slam (2d6); MV 20; F8 R11 W9; AL Neutral (N); XP 400; Special—Move or attack, weapon resistance (blunt weapons). If the platform is activated, it lowers itself slowly at first, and then quite quickly, about 300 feet into the earth. A door at the bottom of this shaft opens into the underworld. A stone circle is hidden in the mountains here, on a meadow of daisies and purple cone flowers. The stones are jagged and white, and bear deep claw marks that form weird patterns. The circle has a diameter of 60 feet. Under a full moon, the stones glow in the moonlight. The ground within the circle becomes first spongy and then ethereal, dropping people into a cavern below (20 ft. fall). Within this cavern, dimly lit by the moonlight filtering through the ethereal ground, there is a fountain of healing waters surrounded by a dozen statues of skull-faced nymphs. The healing bath is permitted only to Chaotic (Evil) creatures; others are attacked by silver rays from the eyes of the statues that curse them (per the bestow curse) spell. When scientists cracked the DNA code, and started re-mapping the Tree of Life, they found some pretty interesting things – animals one would not think were related, it turned out, actually were. It’s amazing the way different animal families manage to fill ecological niches. Heck, just looking at a Chihuahua and Great Dane will tell you that life is pretty mutable. This led me to thinking about how one could create weird, fantasy ecologies. Imagine categorizing animals into broad ecological niches – large predators, small predators, small scavengers, large grazers, for example – and then randomly picking from the various families of the animal kingdom to fill those niches. 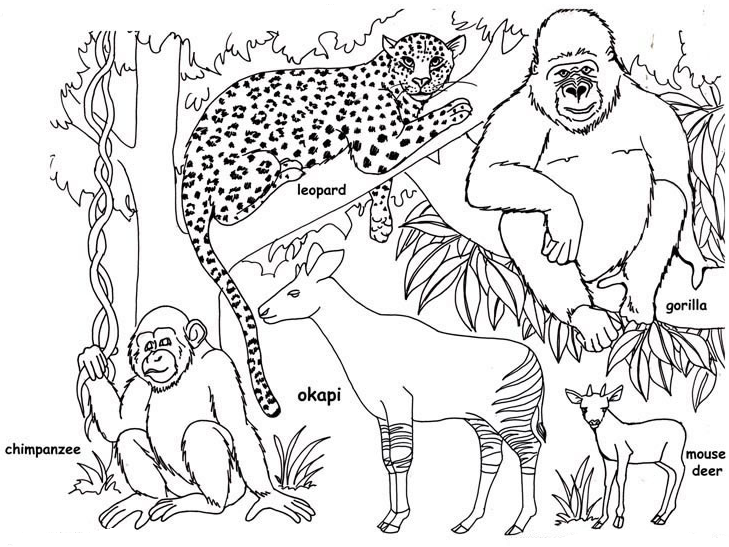 The next step would be hardest, of course – imagining how the selected animal family might fit into that niche. Of course, if you draw a feline for the large predator category, you can just stick in a tiger. But what about a large equine predator? What might that look like? Okay – one note for what follows … it ain’t science. It’s an affront to science. The idea here is to stimulate one’s imagination and come up with a twisted ecology that will entertain and delight the people who play in your games. The below tables are designed to start with something you know, and then turn it into something you don’t. Insectivores will become herbivores and herbivores will become carnivores, etc. Have fun, use your imagination and if you have a few bucks in your pocket, commission and artist to bring your creation to life. First, determine the sizes of the animals in you fantastic ecology. This is dependent on the availability of food in the environment, which itself is usually dependent on the availability of water. For marine environments, it should probably be based on the availability of sunlight (SUNNY-MEDIUM-DARK). Tiny creatures will rarely serve as anything but a prop when running an adventure; unless they swarm or are poisonous they won’t threaten adventurers, and grand hunts are not organized to kill them. Hence, don’t worry about creating too many. For each animal size, determine its general strategy for feeding itself by rolling 1d6 on the following table. This will give you a variety of interesting animals that might be encountered (randomly, of course) in a region by adventurers. The point here is not to build an actual viable ecosystem, but rather to build a dangerous backdrop for exploration and adventure. 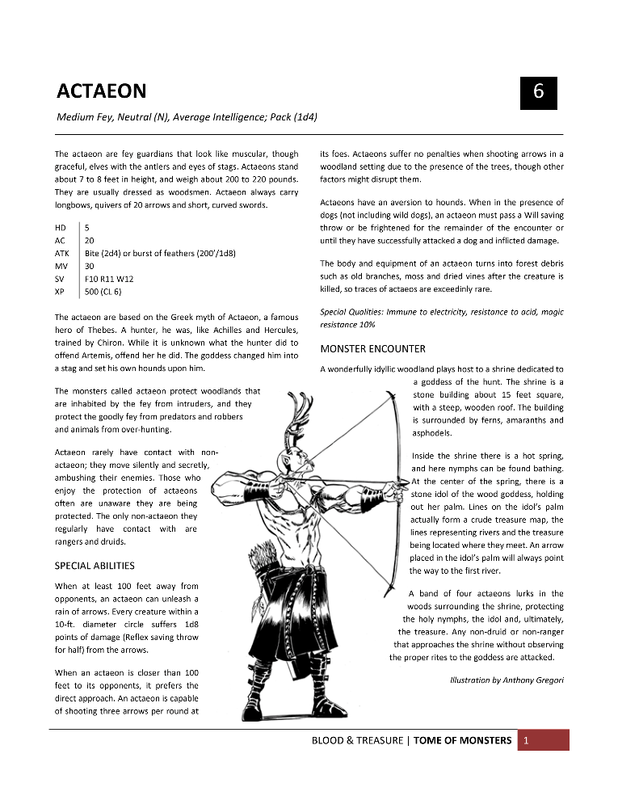 Naturally, you’ll want to fill out a random encounter table with more fantastic monsters as well. To determine what fills the niche, roll on the tables below. These tables are designed to produce something weird, so keep that in mind. 81-83. Rodents – rats, squirrels, guinea pigs, hamsters, porcupines and capybara! To help you along, you can consult the following table listing existing animals in each niche, modeling your make-believe animal on the survival techniques of a real animal. My weird savannah is dominated by tall, broad herbivores descended from crocodiles. They have short snouts and thick tongues that pull in grasses. Mostly slow and ponderous, they retain their crocodilian patience and ability to generate a short burst of speed. The grazing tortoises are about the size of water buffalo, with shells that are spiked, providing a means of defense. The savannah is also grazed on by wombat-like creatures that resemble long-legged, antelopes. The swiftest herbivores on the savannah are medium-sized descendants of rhinos; they look like springboks with rough, rhino-like skin and small horns on their foreheads. Seeds on the savannah are collected by sparrow-sized dragonflies and a rodent that resembles a cane rat. The only true carnivore on the savannah is a burrowing, carnivorous hedgehog that preys on the rodents and dragonflies. Packs of these creatures prey on such creatures as the long-fingered and ring-tailed raccoons that live in colonies in large trees and the small anteaters that scurry among the tall grasses. The savannah also has a wolf-sized feline that feeds on smaller animals and the long, purple fruit that grows on the savannah trees, and a panther-sized arachnid that hunts at night in small prides. 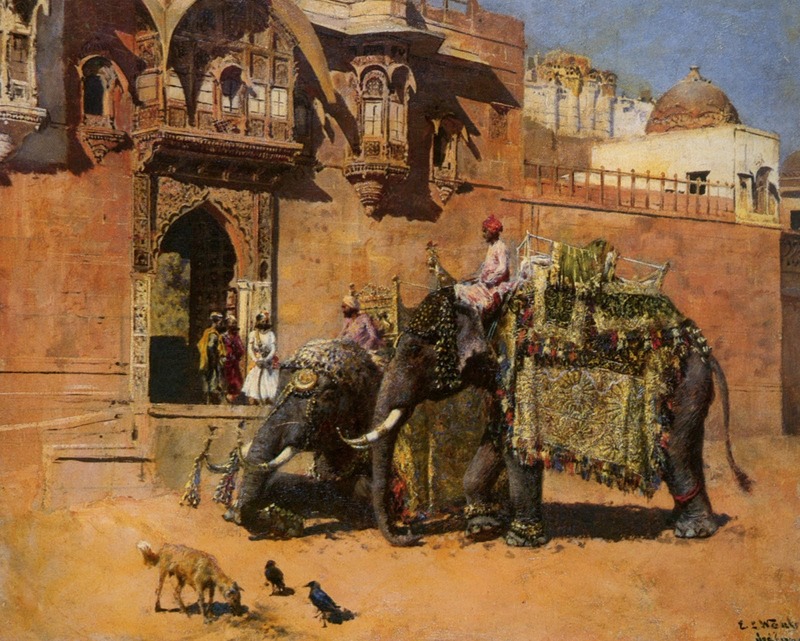 I was looking at some paintings this morning by British artists working during the Victorian period. The painting below was painted by Richard Parkes Bonington in 1826. 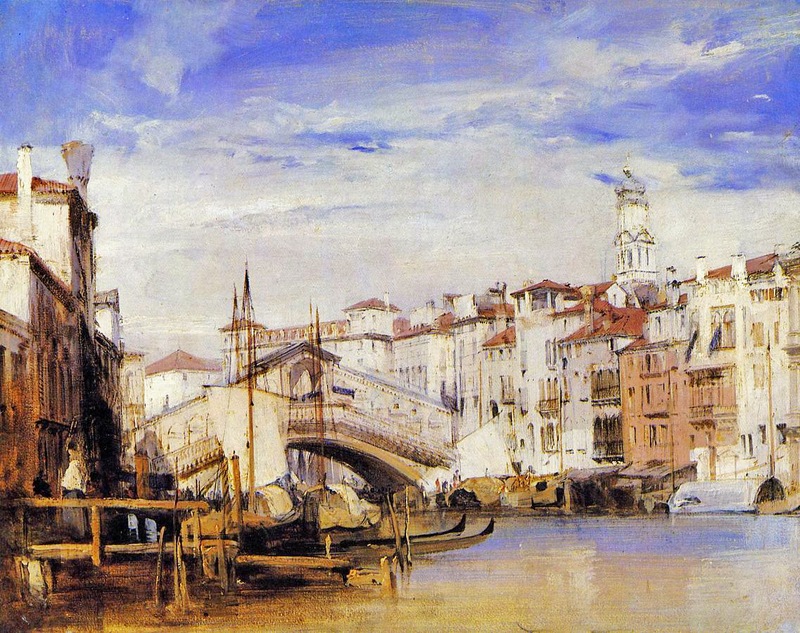 It depicts the Rialto in Venice. Not the same angle, of course, but close enough. This got me wondering how useful it would be to use GoogleEarth’s street view for fantasy gaming. I’ve used it in the past for a Mystery Men! game, mostly to stage a chase and fight in Chicago IL. That was set in the 1960’s, so not so far in the past that the modern cityscape wasn’t close enough to use “as-is”. 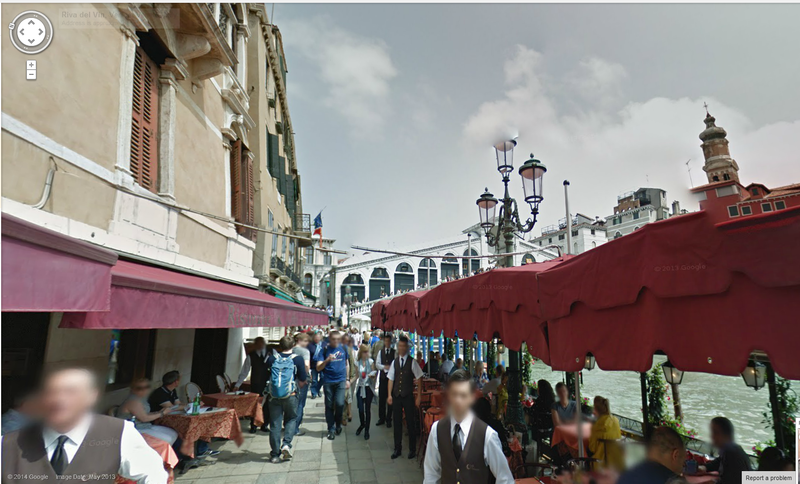 This section of Venice has some nice alleyways that appear to be “walkable” in GoogleEarth, and the buildings don’t seem terribly different from 1826, when the above painting was painted. It makes me think that by picking an old city, and jumping into the old part of that city – the part that’s been kept “oldey-timey” for the tourists – you might be able to turn it into a fantasy city and navigate players through using random encounters and random building tables, and a few set pieces, to facilitate play and give them a better reference point when fights break out or cut purses nab their gold and a chase ensues. Carcasonne, France – be sure to have your adventurers stay at the Best Western Hotel le Donjon. Unfortunately, many cities outside of Europe don’t have street views available, such as Algiers’ famous Casbah. You can at least use the street maps, though, and supplement it with old paintings. You can also use real world landscapes from GoogleEarth for wilderness exploration to provide something more visually stimulating than a simple hex containing a landscape symbol. The NOD hexcrawls use 6-mile hexes. 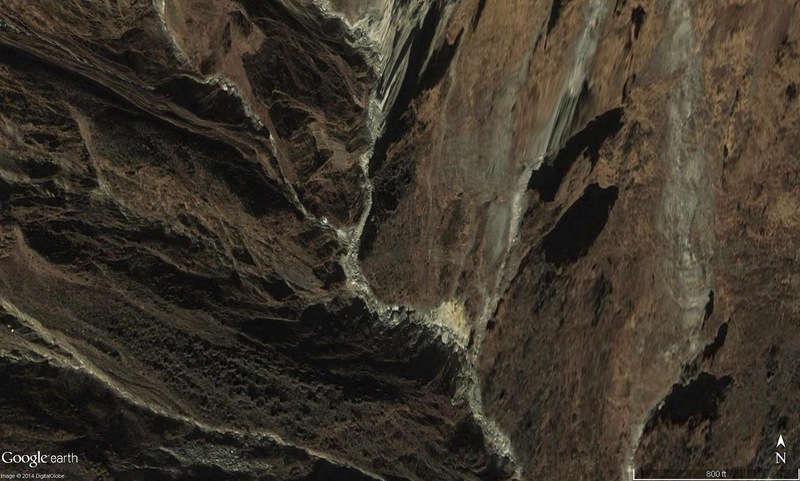 Below, a roughly 7-mile wide chunk of the Himalayas. Much better than a hex with a triangle in it, don’t you think? You can zoom in as you play and, depending on the resolution of an area, have a better understanding of the path that has to be taken, and maybe find a convenient spot for a dwarf village or red dragon lair. The pictures can give the players a better understanding of what they’re going through. And what about random weather? Well, why not just use today’s forecast? How is this bit of the Himalayas doing today? Rainy, fairly warm (well, when this post was written, anyways). Just a few ideas for leveraging modern technology for better tabletop gaming. If you have any tips and tricks, please wax poetic in the comments, or toss in a link to a blog article you wrote. Ende has long been a crossroads of the different planes of existance due to its being, for reasons unknown to all, a frequent battleground between the forces of Law and Chaos. As even a midling scholar of Nod could tell you, when an outsider is manifested into the Material Plane, it becomes a living, breathing creature with free will, even if it often takes a while for them to realize they are no longer bound to the wishes of their master. Many of these outsiders break away from their appointed tasks and mingle with the locals, so aasimar and tieflings are not uncommon in the region of Ende. In Ende, the aasimars are called aasuras, and they usually belong to the higher castes of wise people and warriors. Of course, many, despite their blood, have fallen from their once high positions, and must make their way as mercenaries and adventurers, for they are ever too proud to work as artisans, laborers, and beggars (and the artisans, laborers and beggars would claim the haughty fools wouldn’t have the skill to do their jobs properly anyways). While aasuras aspire to (and often pretend to uphold) the old ways of their ancestors, honesty, gravity, open-mindedness, far-sightedness and martial honor, the sad truth is that generations of life at the top of the social foodchain has left them decadent, over-bearing and aloof. While they are often respected, for even in their fallen state they are often driven to succeed at whatever calling they have chosen (callings which often involve killing or calling down fire from the sky), they are rarely well-liked. In keeping with their castes, aasuras dress well, and decorate themselves with jewelry. They are usually perfumed or scented with fragrant oils, and even the poorest aasura will make every effort to keep a servant or slave. Aasura warriors prefer to wear aristocratic armor, usually banded or splint, rarely platemail imported from the north, and they carry shields and various sorts of swords and lances. Most work as horsemen or charioteers. Most aasura take the lordly Indra as their patron, though those aasura who still hold to the old ways prefer Vishnu. Aasura characters usually have classes in paladin, monk, cleric, psychic, duelist or fighter. The stone giants of Ende are called daityas. They once served as mercenaries in the divine armies that fought here, usually for Chaos, and now dwell in the mountains as barbarians. The daityas are wild men and women, heavy with crude jewelry, their faces scarred and painted with images made up of swollen dots, the men cultivating fabulous mustaches that are a sign of power and fertility in their culture. Daityas wear no armor, only baggy pants and cloaks, and their wield giant scimitars and shields. They have skin the color of rust that is often marred with patches of white. The gandharva are the elves of Ende. Once the masters of the plains of Gondar, their small, fortified villages eventually fell to humans and humanoids, leaving them to wander like gypsies. Most gandharva now are herdsmen and herdswomen (known especially for their ability to raise horses), entertainers, traders and, sometimes, ne’er-do-wells. Like most elves, they are graceful and beautiful, with eyes that gleam like gemstones, deep olive skin and black hair. They dress in light, loose garments, or robes to hide their armor. Female elves are referred to as apsara, and they are known for their dancing. Gandharva are cosmopolitan and easy going, with ready wits and a tendency to tell people what they want to hear. Charm is the hallmark of the gandharva, and they use it liberally to get what they want. Despite being graceful and alluring, the elves of Ende are skilled warriors, especially with staves and bows. Many elves train in the martial arts, combining dance with fighting. Gandharva prefer deities of music and dance, and thus gravitate towards Saraswati, goddess of art and music, and Shiva, famous for his cosmic dance. Humans make up the middle castes in Ende society, the artisans, laborers and farmers. They range from poor to rich, with the wealthiest humans usually being merchant princes. Most middle class humans are artisans, merchants or officers in the regions armies. Humans, here as everywhere, are cunning and clever and hold every opinion under the sun. Humans in Ende are often resentful towards the aasura because of their insistence on taking on airs despite their obviously lacking characters, and they fear and hate the tievas for their demonic powers and their close contact with death in all its fearful forms. Humans are usually barred from the higher orders of society, though some are elevated into the upper castes due to their impressive abilities (i.e. high ability scores and capacity for bribing the aasuras and stroking their mighty egos). Humans with magical abilities are usually magic-users. Magic-users are not regarded as highly as psychics and clerics because of their dependence on material components, many of which are of an unsavory form. These magic-users do a good business in Ende, serving the middle and lower castes in the manner of doctors and advisors. Human warriors usually make up the bulk of Ende’s armies, and usually fight on foot or as light cavalry. Ende’s officer corps is mostly made up of humans, who serve as lietenants and captains. Higher ranks are held by the aasura nobility. While they are barred from becoming clerics (again, there are exceptions), they are not barred from the druidic orders, and in fact dominate those orders. For this reason, the humans of Ende most often give their keenest devotion to the nature gods and goddesses, such as Agni, god of fire, Varuna, god of water, and Surya, the sun god, as well as Gunputty, the overcomer of obstacles (humans hate obstacles). As the aasuras are descended from outsiders of Law, the tievas, who occupy the lower rungs of the social ladder, are descended from outsiders of Chaos. Swarthy of skin, bright of eye and quick of wit, they have gravitated towards the lower professions of thief, assassin, beggar, and charlatan. The best of them live a straight (well, mostly straight) life of honest labor in such occupations as tanner, butcher, or hunter. Tievas deal in death in one way or another, which makes them suspect and low in the eyes of the aasura and most humans. They see themselves as the necessary evils that make the more comfortable lives of the upper castes possible. While tievas care little for virtue, they do have a strong sense of self, and when crossed or insulted they rarely let the act go unavenged. A tieva might strike immediately themselves if they think they can get away with it, but more likely they will attack in the dark, from behind, with many friends. Tievas dress as commoners. They live in the shabby quarters of town, and congregate in taverns and other places of rowdy amusement to let off steam. Tievas are rarely found in the organized armies of Ende, even armies of Chaos, for they are generally thought to be untrustworthy and cowardly. They are, however, hired as spies by all the lords of the region, including lords of Lawful alignment. Tievas usually worship Ratri, the goddess of night, Lord Shiva, the god of death, and the black earth mother Kali. The yaksha are dwarves that separated from the dwarves of the west a very long time ago. As such, they are quite different from their kin in Antilia and the Motherlands. While most dwarves are gruff in demeanor and generally unhandsome (from a human point of view), the yaksha are remarkably sensuous. The females are curvaceous and viviceous, the men dashing and ferocious when roused. They live in heated casverns, and prefer to show off plenty of skin – they’ve got it, so why not flaunt it. The strongholds are highly ornamented, with many gemstones and carvings. They are well lit, and kept very plush, for the yaksha are the keepers of the wealth under the earth, and while they may appear to be softer than other dwarves, they are in fact skilled warriors who guard their monopoly on mining precious metals and stones viciously. The yaksha are worshipers of Lord Shiva, who is not only a god of death, but also of the valuables hidden within the earth. Wow – it’s been almost a week since last I posted. What have I been up to? Well, aside from work, a little economics-oriented freelance stuff, and doing the family thang, I’ve been working on NOD 22 and the Tome of Monsters. So – time for a preview post! This is shaping up pretty nicely. Art is being commissioned and is flowing in – below is a sample page as the layout now stands. Looks like this one will feature 145 new entries (some with multiple monsters per entry). Okay folks – back to work!